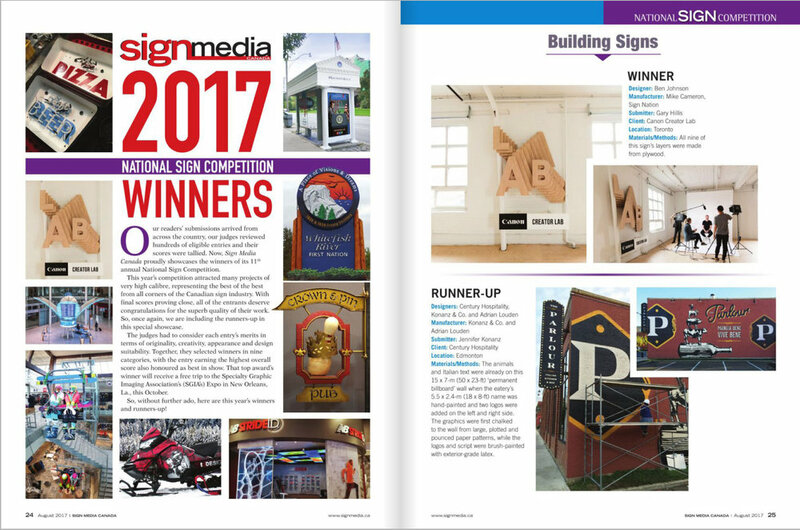 SignMedia Magazine National Sign Competition — Konanz & Co. Months ago I entered a few signs in the National SignMedia Competition - and didn't realize one of them had placed! The Parlour wall won runner up in the "Building Signs" category. Thanks to everyone involved in making this one happen! Click on the article for a closer view.